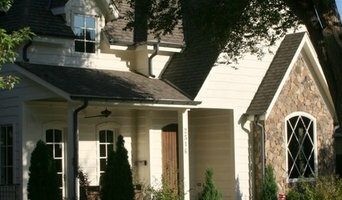 Ekman Design Studio is a boutique architectural firm specializing in unique fine homes. CARLSON Design & Build, Inc. Nationally known residential remodeling firm in business since 1979. Comfortable working in all styles and with all budgets. Specialize in historically-inspired additions that "fit", flooding a home with natural daylighting, whole house remodels, basements, additions, pop tops, and thoughtful kitchens, bathrooms, and thoughtful built ins. Winner of over 150 local and national design awards. Professional expertise in cabinetwork, lighting and daylighting, accessibility and universal design, energy efficiency and sustainability, historic preservation and working in Landmark Districts. Protégée Design Company offers the opportunity to work with one trusted professional from start to completion to ensure your project is built as designed. Our team can re-design your existing space, draw blueprints for building department submittal, and help you visualize your design with our 3D renders. Not sure what to do after the design? Our team can guide you to the right builder for your project, analyze & compare any bids you receive, provide a projected cost of construction, and even project manage your job to completion! Diane Gordon Design is an award-winning residential design firm specializing in kitchen and bath remodeling, historic renovations, and basement finish in Central Denver, Stapleton and Lowry. How do I find the best Acres Green architect for my home design project? It is best to hire a home architect who will be involved in all phases of the design process, from the initial concept to the completed construction. The architect is often the first person you will hire for your project. If necessary, they might also help you select and hire Colorado subcontractors, which can include the builders, engineers and landscaper. Interior architects are also involved in negotiating contracts for all involved participants. It is for these reasons that it is extremely important for you to have a good relationship with the Acres Green residential architect you hire. He or she can be the tie-breaking vote between you and the general contractor and can be your biggest advocate during the construction process. Different architecture firms in Acres Green, CO provide different services, so the scope of the work can span from pre-design environmental impact studies to selecting furniture and finishes, depending on what your specific needs are. It is very important to hire the right professional for the job. Remember that the most well-known or established designer might not provide the best architectural services for your needs. It all comes down to the individual project. Research and ask people whose work you like for recommendations. It's important to have somewhat of an idea of the style of house architecture that you prefer, as well as the amount you would like to spend. Residential architects in Acres Green, CO are natural problem solvers. They will assess the entire situation and help you to solve your problems too. Don't settle for a single company too early. Call and interview a few. Make sure that you feel like your personalities will mesh well and that you like their professional perspective. 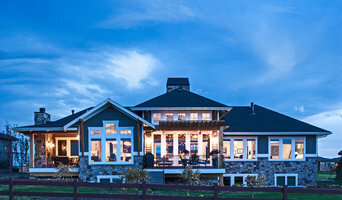 Find a home architect in Acres Green, CO on Houzz. Narrow your search in the Professionals section of the website to Acres Green architects. You may also look through photos of Colorado projects to find interior architects and building designers who have worked on a project similar to yours.